Is God Just Like Your Father? Are You Treating Jesus Like a Good Luck Charm? Dear Holy Spirit . . .
Do You Obey Jesus Out of Love? Fresh Awe . . . Our Incomparable Christ! God Is Just Like My Father . . . Or Is He? If Jesus Had a Twitter Account . . .
Is God Glorified Through Me? Rediscovering What It Means to "Be Holy"
3 Words That Are Better Than "Merry Christmas"
What Does Surfing Have to Do with Life in the Spirit? Are you amazed by His wonder? Jesus, Son of God and Son of man, Lamb of God and Lion of Judah, the Alpha and the Omega. If not, this spoken word poem by Blair Linne will help! Get a fresh sense of wonder at who Jesus is. Nancy Leigh DeMoss weaves together Scripture about Jesus from the psalms, prophets, gospels, and epistles. Get to know Jesus in a new way through this moving, dramatic recitation from God's Word. Have you seen Him? Do you know Him? Will you give up all to serve Him? Do you love Him? These are the four questions Blair Linne asked women as she presented this masterful spoken word poem. Are you currently walking through the desert or a storm? If so, come hear Lauren unpack Psalm 107 and be reminded of the Lord's covenant-making, covenant-keeping character—especially in the midst of hard times. No season is too hard or too much for Him, and He wants to walk with you through this wasteland as you cry out to Him. Do you ever get discouraged when the topic of marriage and family comes up? If your family doesn't look like the ideal picture experts paint, don't give up. Pastor Voddie Baucham shows you how to give God a less-than-ideal situation and invites you to watch Him change a broken legacy. Nancy unfolds Romans 11:33-36 and provides the framework to build your life around in her opening message from True Woman '08. Do you ever feel like the needs of those you're called to serve are above your pay grade? 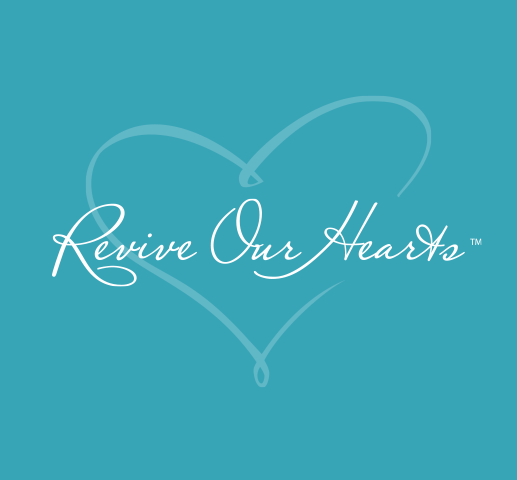 In this opening session from Revive '13, Nancy Leigh DeMoss shows women how to be instruments of God's grace by laying a foundation for understanding God as our Helper. This breakout session addresses the challenges and opportunities of romance, friendship, and wise living for the single woman. Carolyn gives refreshing encouragement for those who are confused, weary, or cynical about singleness. Flower petals optional. In the middle of a storm, it can be difficult to focus on the truth. Mary Kassian will show you how to orient yourself on the truth the same way a seasoned ship captain orients herself with a compass in a storm.